As mentioned in last week’s blog post, I’ve been focusing on sprite work for GENBA no Kizuna again. Patrons can actually get a little preview of two of Shinketsu‘s more elaborate new poses. He was certainly a lot of fun to work on since, out of all the characters so far, he has the greatest variety in expressions, only rivaled by Keiichi. Because of that, finishing Shinketsu’s sprites was also quite a bit of work though. Due to the blood splatters, seams and tears all over his lab coat, getting continuity into their positioning across all of his poses was kind of a chore. But I guess I’m satisfied with how everything looks now, so I’ve been moving on to Rei again. 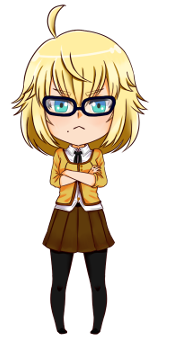 Being a rather calm and taciturn individual, Rei is much less expressive and therefore currently has less sprite variations than her teammates. 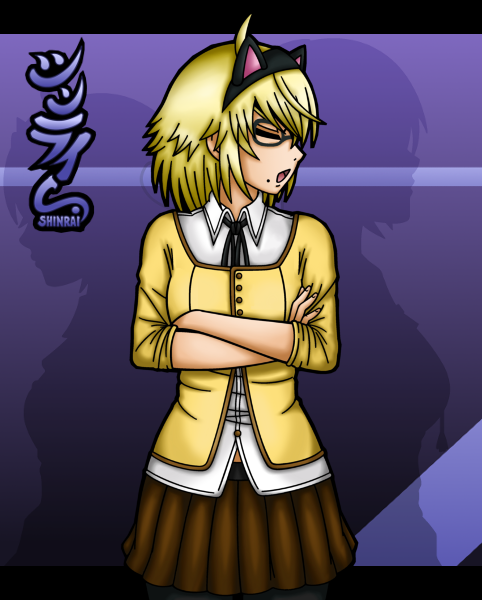 She’s going to gain more variety later on in the game once Keiichi manages to get closer to her, but even for the beginning, I thought I’d like to have at least a bit more variation for her. So I’ve been thinking about adding one more pose. The tricky part about sprite creation is that it’s very time-consuming work. And because of that, I don’t really want to create sprites that will barely be used throughout the game. Otherwise, putting the time and effort into their creation would be kind of a waste. I want to get as much out of the poses I do as possible. So whenever I consider creating a new one for a specific instance, I try to think about how I could tweak it in order to re-use it for different expressions/situations. 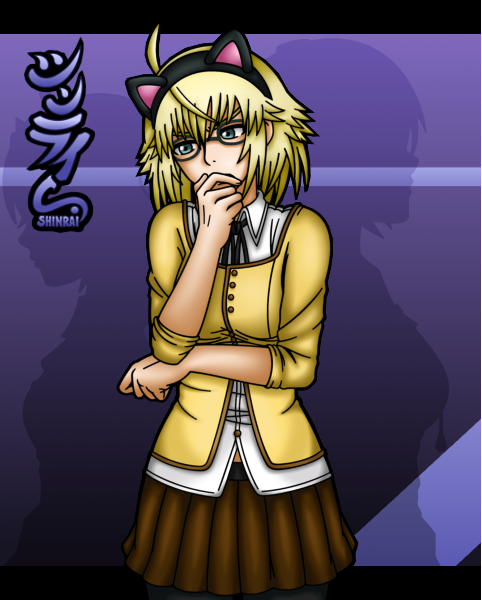 In SHINRAI, for example, Raiko had a “head tilt” sprite for when she’s making curious inquiries. 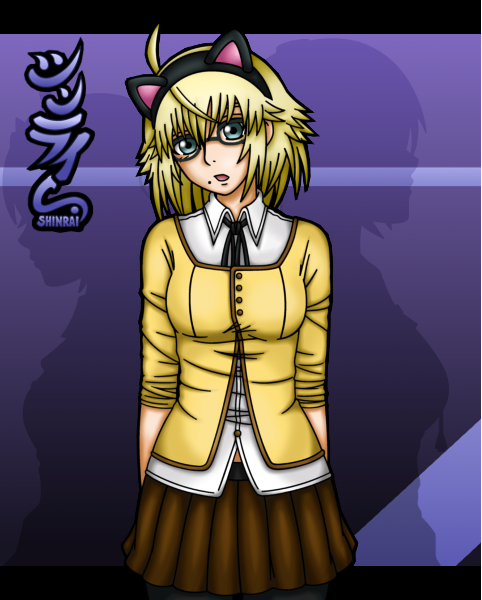 Redrawing her head was a bit more work than just changing the position of her arms, however. After all, when you switch back and forth between her original head and the tilted version, you want the change to look natural and “seamless”, not off in some way. And there are a lot of things to pay attention to in order to achieve that. Certainly more than with a simple arm. Position of the eyes, nose, mouth, the way her hair falls, etc. It took quite a bit of time to get it right. Both these sprites get used a lot, so in the end, I felt like it was definitely worth it. Now, when I sit down and try to create a new sprite for Rei, I want to be sure that I can use the pose (or the head if it’s a different perspective) for more occassions than just one. If I can’t then… it brings up the question of whether or not it’s really such a good idea to create it in the first place. Sure, if it’s just one single sprite, it’s no big deal. But if that happens multiple times, which it easily can with such a big cast, then all of it adds up and the development time gets dragged out significantly. That’s something I learned early on during the development of SHINRAI. Of course, I don’t want to skimp out on variety in sprites and I know that some people mentioned in their SHINRAI reviews that they would have preferred even more. But at the same time, since it’s really just me drawing all these variations, and there are so many other things I need to do for these projects… I need to set a limit somewhere. Compromises have to be made, unfortunately.